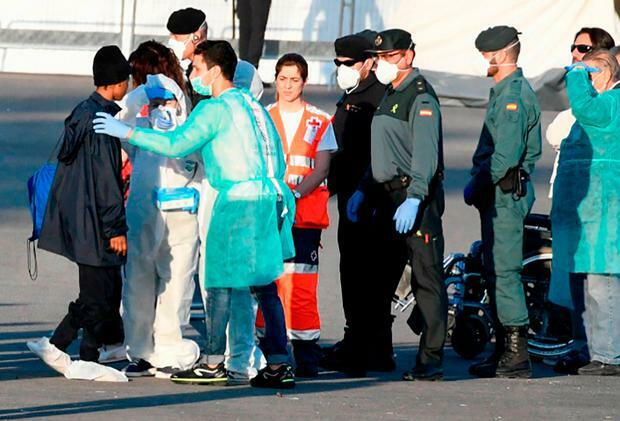 Rescued migrants turned away by Italy and Malta arrived at the Spanish port of Valencia yesterday, ending a gruelling Mediterranean odyssey that became symbolic of Europe’s failure to agree on immigration. Spain jumped in to help 629 mainly sub-Saharan Africans on board the ship Aquarius last week after Italy’s new government, asserting its anti-immigrant credentials, refused to let it dock. Spain’s prime minister, Pedro Sanchez, who took office two weeks ago, took the opportunity to show a more liberal stance. 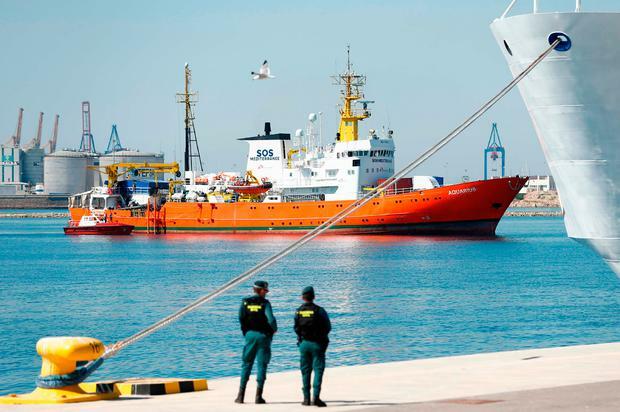 But the plight of the Aquarius, run by Doctors Without Borders and Franco-German charity SOS Méditerranée, highlighted the EU’s struggle to manage an influx of people fleeing poverty and conflict. A staff of 2,320, including volunteers, translators and health officials, were waiting on shore. Elhadj As Sy, the secretary general of the International Federation of Red Cross and Red Crescent Societies General, was also in Valencia. “This sad odyssey of the people on the Aquarius is another reminder that all people, regardless of their nationality or immigration status, should have access to basic assistance and protection,” Mr Sy said in a statement. “No human being is ‘illegal’,” added Mr Sy. Malta refused to take the boat, saying it had nothing to do with the rescue, which was co-ordinated by Italy’s coast guard. The total of 629 migrants included seven pregnant women and 123 children.